We maintain a regular supply of all blood types to ensure the right blood is available to everyone who needs it. We need enough of the right types of blood to meet day-to-day patient needs and to cope with emergencies. Which blood types are in demand? Some blood types are in higher demand from hospitals than others. For example, it's estimated that around 8% of people have O negative blood, but O negative makes up 13% of requests from hospitals. This is because anyone can receive the red cells from O negative donors. So O negative red cells can be used in emergencies or when a person's blood type in unknown. Sometimes we need to target specific blood types to increase stock levels. 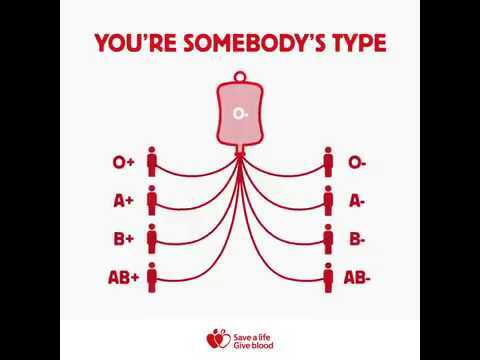 That's why we sometimes contact regular donors with the particular blood type we need, and ask them to give blood. Who can receive your blood? Which blood types are rare? A rare blood type is any blood type that is needed by patients and is difficult to find in the population. What makes a blood type rare? Why is closely-matched blood important? Some patients, particularly those who require on-going transfusions, need blood that closely matches their blood type. This involves matching blood more extensively than the main blood types. Some rare subtypes are more common in specific communities, which is why we particularly need more blood donors from black, Asian and minority ethnic communities. How long does blood last after it’s been donated? We only collect what we need to avoid wasting any donations.